This exquisite Antler 6 Branched Chandelier is a real striking statement piece. 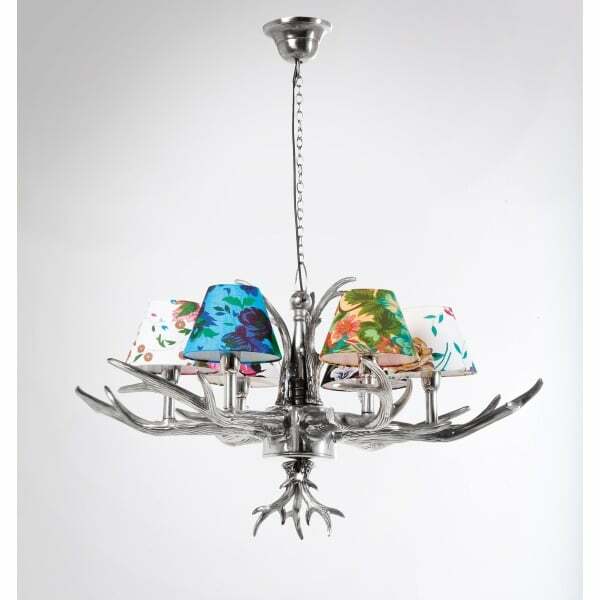 A beautiful and decorative Pendant Lamp, it features a silver chandelier with antlers that make the arms and it is finished with six colourful Flower Shades. This charming and chic light makes a lovely addition to any interior and is sure to be noticed by everyone.